At Hoang Orthodontics, every member of our staff is friendly, professional, and experienced. We are committed to providing each of our Houston patients with personalized care and exceptional service. We strive to maximize the one-on-one time with each patient and to completely answer any questions they have about their treatment. Our goal is to ensure a comfortable and relaxing experience for every patient. 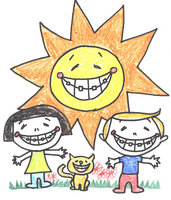 Our orthodontic professionals are dedicated to providing quality, advanced care to our family of patients. At both Houston and Cypress locations, we endeavor to provide comprehensive orthodontic care. Furthermore, we offer a complete selection of cosmetic services, and the best possible restorative oral health care at the Cypress office. Make an appointment today or come in to meet our friendly staff. OLGA RIOS, CDA is our Treatment Coordinator and meets and works with all our patients at the front desk, she is responsible for scheduling and checking in our patients. Olga helps our patients gain a deeper understanding of orthodontia and helps them understand the orthodontic process, as well as, assist them with their insurance claims. Olga has 2 boys who are active in high school baseball. An avid Astros fan, Olga has been with Dr. Hoang since 2005. Sandra Rochester, CDA is our orthodontic assistant. 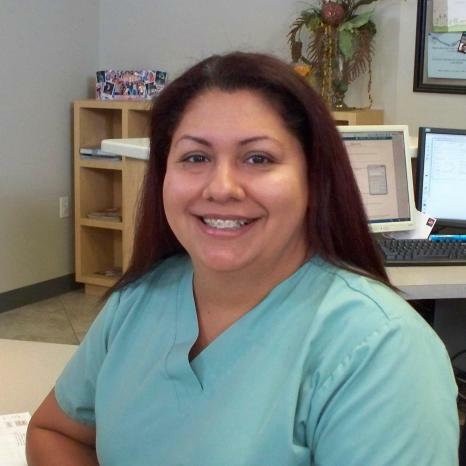 Sandra has over 20 years of experience as an orthodontic assistant. In her spare time Sandra likes to hang out with her grandchildren and her dogs.